Verdict: A somewhat educational and yet legally inaccurate 2-hour-long comedy with only one or two laughable gags. 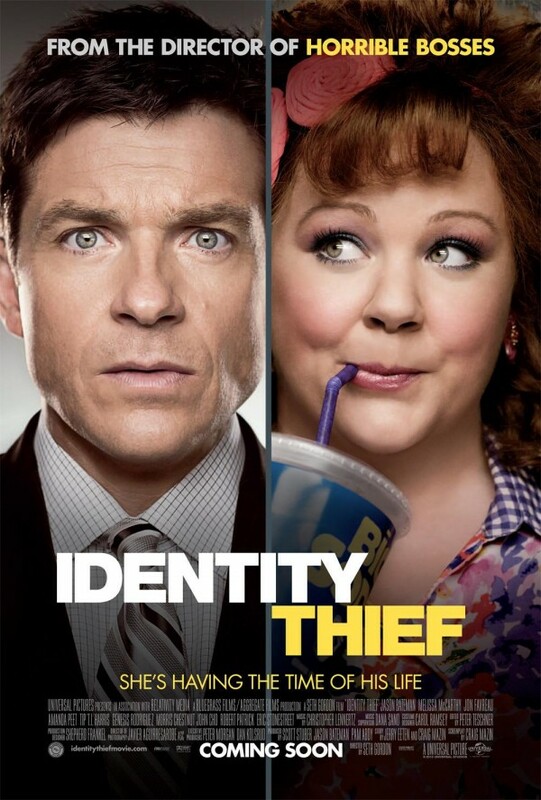 It’s okay to reuse the typical plot formula that involves a poor ordinary guy being stuck with a much hated criminal in a trip/adventure and then predictably become friends in the end, but the problem is that Identity Thief is just not funny enough with its lazy humour. Disturbingly, the film ends with zero moral value and bad influences after multiple unnecessary illogical scenes in the final third. Second opinion: “Too long; some parts funny, some parts boring” (girlfriend). Malaysian censorship: Much to my surprise… or not, it’s completely uncut. All vulgarity and naked butts are intact. Major plot hole: Let’s leave out the illogical slapstick scenes like how Diana (Melissa McCarthy) escapes from police arrest, gets hit and run by a vehicle but doesn’t suffer any major injury, and still manages to run away without any of the cops around noticing. Let’s also leave out the legal inaccuracies like how Sandy (Jason Bateman) can be an accomplice of Diana in identity and credit card fraud, and escaping from police arrest, but doesn’t get any punishment at all in the end. Let’s also not mention how impossible it is, realistically, for Sandy and his family to forgive Diana for what she did and make friends with her. The biggest problem of the movie is the ending. Sandy’s plan is to trick Diana, who stole his identity, to go to his boss, who threatens to fire him unless he clears his name, and explain her crime without her knowing that the police will be secret hearing the conversation. She turns herself in at the end and tells Sandy, “I knew you wouldn’t bring me in.” To begin with, how the hell did she know that he’s supposed to turn her in? And Sandy doesn’t even confess that he’s been lying to her the entire time. This is so wrong for a Hollywood ending. I was actually yawning and struggled to keep awake throughout the show. The previous was Oblivion. Sigh. I'm still not entirely sure if I just wasn't in the mood for a comedy or if the movie just fell flat. To be honest, I’m going with the latter. Good review Tony. Reckon I will be skipping this movie though for strange reasons, I think it will make it into Dennis' hard disk.